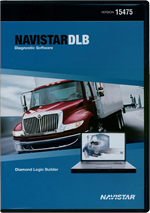 An easy to use tool that integrates commercial vehicle OEM diagnostic software into a complete customized package utilizing the Panasonic ToughPad Tablet. Our system will provide technicians with the tools needed to diagnose the various engines, transmissions and braking systems found in today's diesel and gasoline commercial vehicles. Features include: Easy to navigate user interface, an updateable & expandable system, the ability to monitor data, view and clear fault codes, minimum number of cables and interface boxes and a software guide that assists the technician with the proper selection of cables and interface boxes. Read Stored and Pending Trouble Codes, Read and clear Freeze Frame data, Clear the Check Engine indicator, View live vehicle sensors in a meter, graph, and grid format, View oxygen sensor live data and test results.